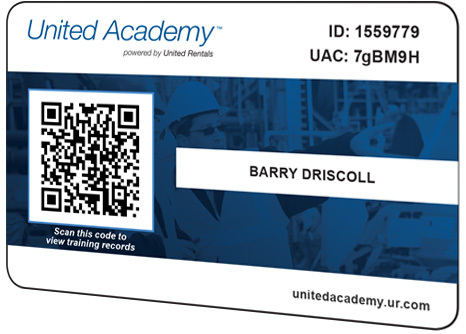 United Academy's wallet card serves as the Industry's link for employees and employers to track safety training and certifications. Read More or Watch the Video watch the video below. 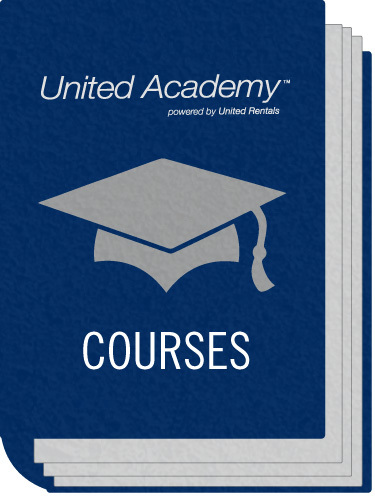 Select from a robust library of courses including operator certification, train the trainer, OSHA required training, Confined Space Entry, and Competent Person Trenching and Excavation. 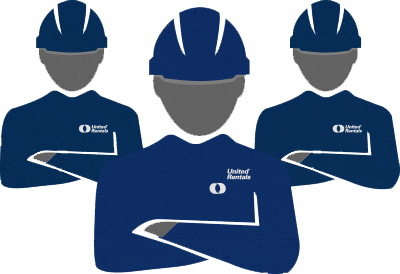 Safety training is led by a team of certified trainers with years of experience in educating and protecting commercial, industrial and municipal workers and sites. 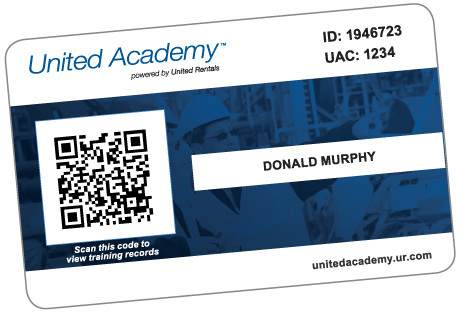 Over 4,500 Companies Trust United Academy for Employee Training. Paul M. Cantarella, President - Cantarella & Son, Inc. It was a terrific class and learning opportunity for all of us involved. The instruction was great as well as all of the great insight given by the participants. It is amazing the information that can be attained in a shared learning environment. A class act all of the way around to be sure. All techs reported the lift training was so valuable - they all learned things about lifts they did not know! I appreciate your assistance! I have been a certified operator for close to 11 years prior to becoming a trainer. As a result of this course I learned more about the “why” in 4 days than I had in in 11 years. 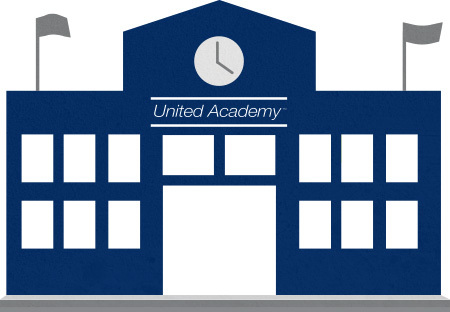 United Academy is incredible and convenient. I am very impressed with not only the blended Rough Terrain Forklift Operator Certification product but also the friendly customer service that I have received thus far. I wanted to just say in my years of working and having to take classes, I’ve learned more in the last 2 weeks than in the last 10 years. You guys are spot on!! Train the Trainer Program: Good program, I learned a lot! Four days is a long program, but I found myself looking forward to it every day! Thanks! Rick Galleta - T.J. McCartney, Inc. I wanted to thank you again for coming in to see us and training the Fall protection working from heights course. 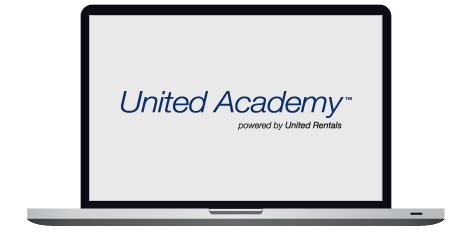 We will certainly utilize United Rentals for our upcoming training needs you are very informative and the class really appreciated the time you took to ensure that we got all the information necessary to work from heights in the field. Thomas Grey - Lovett Signs & Neon Inc. Thank you again for coming through in such a short notice. Without your help my project would have come to a screeching halt. I look forward to working with you and your team in the near future! Thomas Grey - Power Design Inc. I wanted to reach out and let you know what a tremendous member of your team, Mr. Felix Garcia is. Right from the start he was extremely polite, approachable, and professional with the right amount of fun. It must be tough knowing you have to train a group of people that are not used to sitting still for 6 hours, he handled this perfectly. His approach to the class was perfect and offered the right amount of hands on training and light-heartedness to get us through. I can honestly say it was the best training I’ve had. If I could request him to handle all of our certificate training throughout Deployed, I certainly would. He was the best.